The banning of any vendor will arguably slow down the development of 5G during a critical time in the industry. The global economy is experiencing rapid changes during the first decades of the 21st century, with new technologies and concepts changing the way we live and work. 5G is one of the most significant ones, not just because the impact of 5G will overcome 3G or 4G, but because the new generation will distribute intelligence throughout the network, creating the foundation for use cases we cannot yet imagine. After many technological disruptions, in the last 20 years, the telecommunication ecosystem has connected billions of people and has offered affordable real-time connectivity for masses. 5G will offer granular connectivity not just for humans, but also for machines, sensors, and many other objects. This potential value pool behind 5G is much more compared to previous generations: consumers and industrial players both claim high-capacity, reliable, low latency connectivity. 4G is simply not capable of satisfying the diverse connectivity needs of consumers and vertical industries. 5G will stimulate economic growth, create new use cases, accelerate other technologies—most importantly, Artificial Intelligence (AI)—and offer new monetisation options for mobile service providers. ABI Research expects the market to start discussing use cases beyond consumer Enhanced Mobile Broadband (eMBB) in late 2019, after initial consumer-drive deployments are complete. Early adopters, including the United States, Japan, South Korea, Qatar, and the United Kingdom, have all announced their commercial mobile 5G launches for 2019, and telecommunication infrastructure vendors have already started to ship 5G-capable network equipment to operators. For example, during its pre-Mobile World Congress (MWC) analyst conference, Huawei claimed to have shipped 40,000 5G base stations around the world, with many of these networks being close to a commercial launch. Mobile service providers are currently measuring the potential value pool of different use cases, participating in spectrum auctions, building ties with the industry, and selecting the right vendor to deliver their 5G networks. At the same time, mobile handset Original Equipment Manufacturers (OEMs) are announcing 5G-capable handsets. This development is a stark contrast to previous generations: in 4G, smartphones arrived in the market many years after the standard was completed and infrastructure was deployed. With 5G, the first smartphones will appear at the same time as networks, meaning the new generation will likely reach critical mass in a shorter timeframe compared to 3G and 4G. This will create latent demand for the new network, which will, in turn, stimulate handset manufacturers to develop better—and cheaper—smartphones. The full standard of the new generation is not yet fully complete and this process will likely take many years. In fact, the Ultra-Reliable Low-Latency Communication (URLLC) option for 5G will be frozen in Release 16, expected in Q1 of 2020, while the Enhanced Machine-Type Communication (eMTC) use case has been pushed out to Release 17. Nevertheless, Release 15 has provided a future-proof version of 5G that allows both Standalone (SA) and Non-Standalone (NSA) to be deployed, meaning that several operators have already put their 5G strategies in place. There are also pending spectrum licenses in many countries, which will affect deployment strategies, but most mobile service providers are aware of which spectrum bands will be made available in their countries, meaning their strategies can be put in place. The U.S., Asian, and European markets have driven previous generations and are currently driving 5G deployments, with significant differences and requirements between them. The U.S. market has focused initially on the fixed wireless use case and is now moving to eMBB. South Korea is also deploying aggressively and expected to launch during 1H 2019. Huawei has grown significantly during the previous years with 4G and is now the biggest telco infrastructure vendor. Huawei has also introduced several innovations in the market, including the SingleRAN concept, which has become the standard for cellular base stations in the industry. Huawei’s involvement in 3GPP standards, open-source communities (including the Open Networking Automation Platform (ONAP) and OpenStack), and advancing the mobile industry cannot be disputed, regardless of the criticism against it and security concerns many governments have. 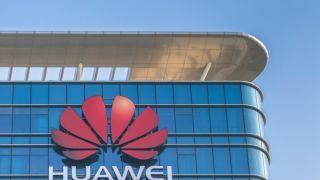 Huawei has never been proven to intentionally eavesdrop, spy, or act maliciously and has invested in cybersecurity centres where governments can inspect its source code for vulnerabilities. The company has announced to spend $2 billion as an initial fund to enhance software engineering capabilities and address security concerns, while the company has also announced a new cybersecurity centre in Brussels which opened in March 2019. Nevertheless. Huawei’s willingness to open its source is a positive sign, especially when its competitors are not subjected to such scrutiny. Nevertheless, the banning of any vendor will arguably slow down the development of 5G during a critical time in the industry: when mobile service providers are aiming for a dominant place in enterprise digitisation. The slow down is evident in Europe, following security allegations by governments, and mobile service providers are putting their 5G strategies on hold at the most critical time for 5G deployments. Western European operators are impacted, since Huawei SingleRAN is widely deployed in Europe. A potential ban would mean these will have to be swapped out or 5G will be deployed as an overlay, both of which would delay 5G for years in Europe. This would mean Europe would fall behind the U.S. and Asian markets, with major financial implications. Moreover, banning any vendor will reduce competition, introduce uncertainty in the market, and drive prices up. Huawei must act to protect its business and go beyond the technology domain on which it has been so focused during the past years. The Chinese vendor must make guarantees that the new Chinese national security legislation will not affect its business and must act as a catalyst for this new legislation to be properly explained to Western governments. At the same time, Huawei must provide more visibility for its opaque operational structure and embrace global standards for ethical training, and social responsibility. This would not necessarily mean Huawei will be allowed to operate in any global market, but it would be a first positive step to silence its critics.